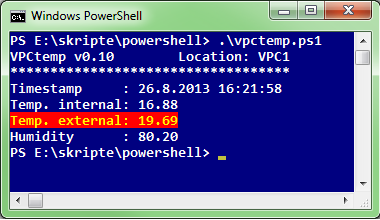 I found this tip among tips published on MS Technet Windows PowerShell tips. I needed to find out last AD log-on time for a particular Active Directory user account on all our domain controllers. I already knew that it should not be particular difficult to come up with some PowerShell one-liner. 1) get the list of all the DC’s from ActiveDirectory (Get-QADComputer -ComputerRole DomainController). 2) then query each domain controller (-Service $_Name) for the account passed as variable ($username) and then select the attributes that are needed with ith the select statement (use select * to examine the vast amount of attributes available for querying). 3) finally, I wanted the result to be sorted by LastLogon field. In addition to “ActiveRoles Management Shell for Active Directory”, you’ll need to install PowerShell itself and Microsoft Core XML Services – if they’re not already installed on your machine (Quest installer will prompt you if that’s is the case). In “Quest Software” program directory you’ll find link named “ActiveRoles Management Shell for Active Directory” which starts PowerShell. No luck – in .csv file all “special” characters are lost.